Mom's Gone Bronson! : 1byone record player, three speed turntable! Review! 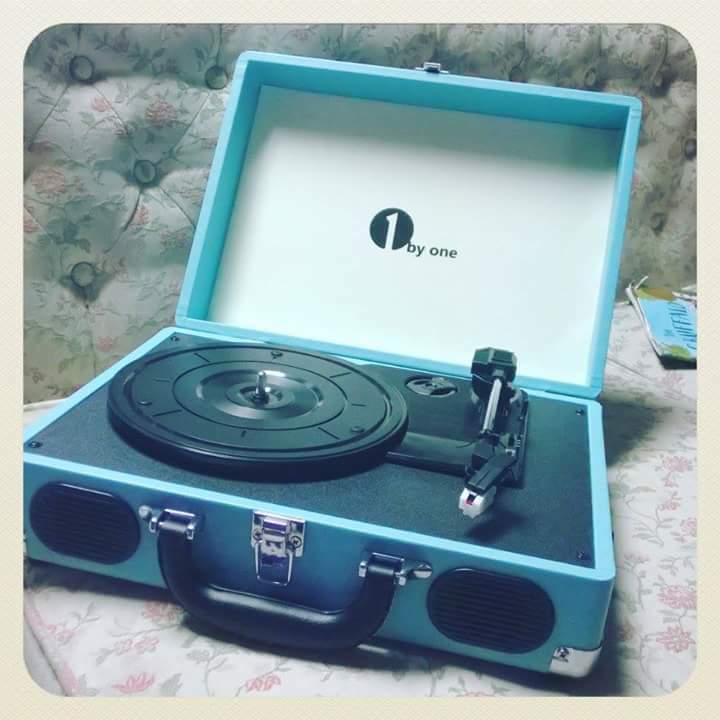 1byone record player, three speed turntable! Review! Disclosure: I was provided with products in exchange for my honest opinions. Your views may differ to mine. Thank you! I grew up with a father who loved music, and collected a lot of old tapes and vinyl. I learned to appreciate good sounds and always has a record player. Over the years, with the introduction of CDs and then MP3s, the record players of yesterday slowly vanished, but there is STILL a huge demand for them as there is something about the found of vinyl that you just don't get on anything else. To move with the times, companies are now making cute little record players little this one, from 1byone, which is compact, portable, and compatible with modern gadgets like your phone so you can even still play your mp3s when you are having a break from your records, old and new! I love the color of this belt drive record player, it is very light and I can take it with me to my friends house to listen to their records, too, and make the night a party! 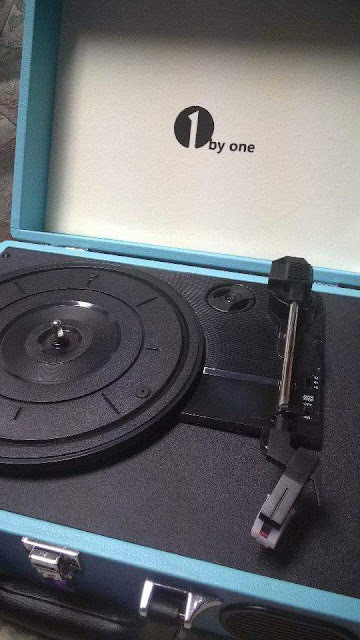 I don't think records are ever going to truly go away and I am so pleased that I can get modern record players like this three speed, stereo, portable turntable, and not have to rely on old equipment to keep those classics alive! You can find this exact record player on Amazon in a few different colors and it would make a wonderful gift for any music lover! Face painting set from Bo Buggles! 1byone Phone Case for iPhone 6! Unilever Has Dessert Covered This Valentines Day! See in Mardi Gras with Divining Rod Wines!